When in the air, Scott Brookman flies in his Smellicopter! Virginia popster Scott Brookman has been in the thick of it–“it” being the making-cool-music biz–since the mid-1980’s. He penned songs for the Virginia band Apes of Wrath. He discovered the wonders of the four-track Portastudio and began making cool home demos. He made his way within the confines of the home tapers movement and started sharing his music with a whole lot of listeners. Fast forward to today and you have Scott’s latest collection of quirky, melodic pop songs, the wonderfully-named Smellicopter. Scott appeared on the April 30 edition of Pure Pop Radio: In Conversation to talk about Smellicopter, his love of pop songs sung by the great female singers, and a whole lot more. He even recorded an exclusive-to-Pure Pop Radio session consisting of an unreleased song, “If You Buy My Album” and a song from Smellicopter, “Very Anne.” Very cool. You can now listen to and/or download this very wonderful show by clicking on this link, which will take you directly to the interview and the exclusive Spotify and YouTube direct links playlist so you can listen to the songs played along with Scott. You can also click on the “P” link below. After you listen to the Scott Brookman interview, you can sample the other shows we have posted. We think you’ll like ’em! Enjoy! 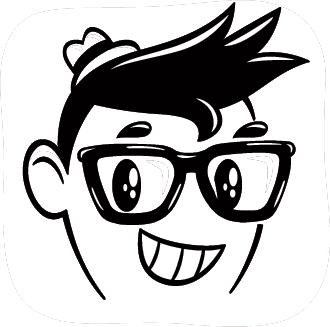 Listen to Scott Brookman on Pure Pop Radio: In Conversation on PodOMatic! Are you ready for some football?! Well, we can’t help you there, but if you’re ready for some great pop music fueled by great melodies and imagination, performed with gusto by one of the premier practitioners on today’s pop scene, yeah, we can help you with that. Virginia’s own Scott Brookman, whose latest album is the creatively titled, aery Smellicopter, joins Alan Haber on tonight’s spirited edition of Pure Pop Radio: In Conversation. Settle in at 8 pm ET for 90 minutes of cool chat about some of Scott’s favorite songs sung by female singers and, oh yeah, Smellicopter. You’ll hear two songs from the album–“Inspected by Curly” (think of those itty-bitty, tiny slips of paper you find in new shirt and pants pockets) and “Weirdos” (think–aw, never mind…everybody knows one or two!). Not only will you hear two songs from Smellicopter, you’ll also hear a live, keyboard-driven take on “Very Anne,” also from the album, and a song that was cut and has never been heard…until now, and it’s performed live. Yes, these two performances are a collective Pure Pop Radio exclusive! It’s all about female singers, Carole King chords, the influence of jazz on Scott’s songwriting and much, much more, tonight on Pure Pop Radio: In Conversation. Set your Internet radio devices for 8 pm ET tonight. We love Scott around here, and we know you will too. I’ve been knowing the melodic pop artist they call Scott Brookman for some time now. His recordings are cherished in the pop community, and rightly so–the man has a keen sense of melody that he injects into every song he writes and records. 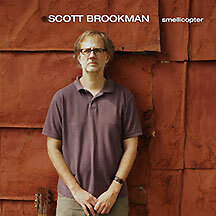 Scott’s latest release, the long-awaited Smellicopter, is typical Brookman, which means that it’s a must-have for your collection. We were able to snag Scott for a live appearance on the old, weekly Pure Pop Radio show, for which the master melody man pedaled steadily from his home to our studios in Fairfax, Virgina. His trusty acoustic guitar slung over his shoulder, he performed live for a waiting audience and talked about all things musical. That appearance remains one of the great memories of our nearly 20 years in pop music radio. And now we’ve got Scott again, this time in front of the Pure Pop Radio: In Conversation microphones talking about Smellicopter, the art of writing a melodic masterpiece, and so much more, including a session he recorded exclusively for Pure Pop Radio. You’ll hear all of this on Wednesday night, April 30, at 8 pm ET. As we’ve said so many times before, set your alarm clocks and be in front of your Internet audio device for an in-depth chat with the one and only Scott Brookman. Come on, come on, ride the Smellicopter with us! …on our next big, huge, overflowing-with-goodness episode airing next week–Wednesday, April 30 and Thursday, May 1. On those very special days, we’ll be talking to one of the original DIY music guys, the great and powerful Scott Brookman, whose latest album, Smellicopter, is roaring up the charts, as well it should be. See you on the air next Wednesday and Thursday for some very cool back-and-forth and, exclusively, some brilliantly-conceived music recorded exclusively for Pure Pop Radio: In Conversation. Yes, we said exclusively. As in, you can’t hear it anywhere else. By the way, we’re taking a break over at our well-stocked PodOMatic podcast page, where we’ve got a wide array of interviews with melodic pop music’s greatest stars that you can listen to and/or download. Check ’em out as they say, will you? Remember, as always, we’re working hard so you don’t have to. And it’s our pleasure.